GOAL: Build the capacity of law enforcement agencies to recognize that animal cruelty crimes can serve as a precursor to more violent crimes, as a co-occurring crime to other types of offenses, and as an interrelated crime to various offenses. The specific outcome for the Animal Cruelty as a Gateway Crime project is to build the capacity of all participating law enforcement agencies to recognize that animal cruelty crimes can serve as a precursor to more violent crimes, as a co-occurring crime to other types of offenses, and as an interrelated crime to offenses such as domestic violence and elder abuse. Armed with this knowledge, law enforcement officers and deputies assigned to patrol and investigative duties can take steps both to solve current crimes and to prevent future crimes from occurring. 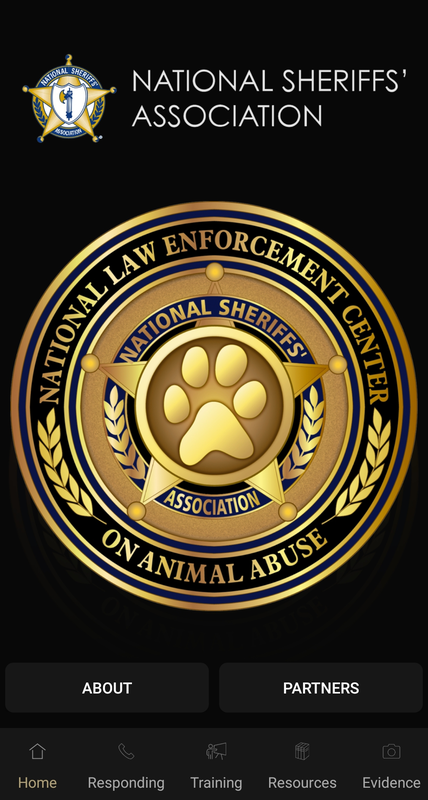 To achieve the primary project outcome, the National Sheriffs’ Association (NSA) facilitated a series of meetings during its 2015 Winter Conference in Washington, D.C., between law enforcement, prosecutors, judges, and animal welfare advocates to deal with the feasibility and issues involved with the establishment of a process to create greater law enforcement awareness of the dangers of animal abuse and its role as an indicator of other criminal behavior. Animal abuse and cruelty is serious and often a precursor to other crimes such as assaults, domestic violence, and homicide. Animal abuse is often a window into the home, and awareness of animal abuse may prevent other crimes. There is a lack of communication between animal control and law enforcement. There is an awareness and education gap between animal control and law enforcement. Communities care about animal cruelty and often voice this concern to elected officials and community leaders through social media. The advisory group also concluded that the law enforcement community’s awareness of animal crimes should increase, and at the same time, they should alleviate some of the issues surrounding the reporting, investigation, and prosecution of animal crimes by first responders, investigators, and prosecutors. In addition to training, there needs to be a cultural attitudinal change among mainstream law enforcement officers and depu-ties that animal crimes must be given the same attention and priorities as personal and property crimes. 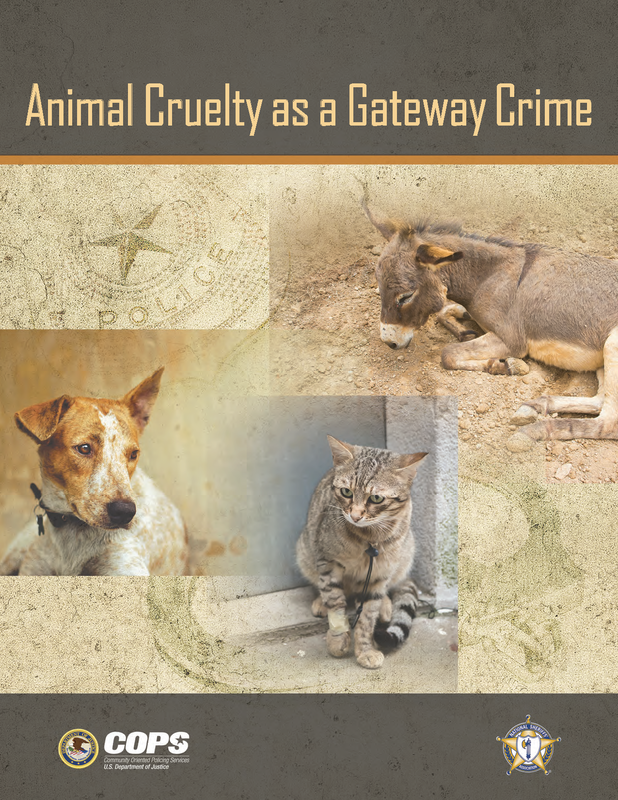 The Animal Cruelty as a Gateway Crime project addresses community policing concepts as it relates to recognizing the signs of animal cruelty and its links to other criminal activity.